Early Forest : Tree Photography and Information: Happy New Year! Every year EarlyForest.Com gets bigger and better. In 2010 we plan to keep growing and improving. 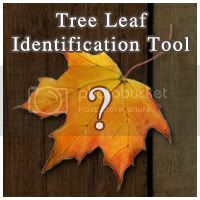 Due to popular demand we are working on some projects including a tree selector tool and descriptive tree profiles...as well as adding hundreds of tree photographs and dozens of arboretum reviews. I also plan on greatly expanding the YouTube page with videos from the places I visit and people I meet. We are also interested in growing the team with talented photographers, writers, travelers, and researchers. Please email me at Craig at EarlyForest dot com if you are interested. 2010 looks like it will be another great year for EarlyForest.Com, thank you for your enthusiastic support as we continue to grow into one of the internet's best free tree information communities.